Hello Simone. At one of the AperiTech meetups you gave the talk entitled “AI in the news: what’s new from F8 2018”. Could you tell us a little bit more about this talk? The talk was an experiment, as there is a lot of confusion about what machine learning and artificial intelligence are and about the speed at which these technologies are evolving. Especially from some news sources that favour news with little to no technical accuracy. So I decided to do a reasoned press review, about the last Facebook conference, to help people understand what the really interesting news and technologies were, such as those to follow and those to ignore, in order to provide a guide for developers beginning to take an interest in the world of machine learning. I think Facebook F8 is a good conference for this topic, as well as Google IO or the TensorFlow Dev Summit. Would you like to prepare another talk related to this topic? The idea for this talk came from Codemotion last year, seeing how little clarity there was in journalistic information and to deal with this topic from the developer’s perspective. Then I developed it in a summary talk including all the year’s major news stories. I definitely think I can repeat it. Any tips for those who would like to know more about this topic? I’d recommend webinars and online courses such as Andrew Ng’s one, or courses on Udemy like the one by Luca Naso, which lets you use it in manageable chunks according to the time you’ve got available. Then to stay up-to-date, I recommend meetups and blogs on the topic. 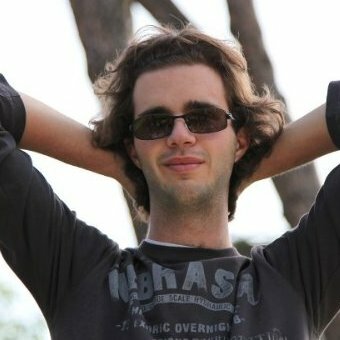 Simone, you are one of the Codemotion speakers and one of the leaders of the Machine Learning Data Science community. For those who did not have a chance to meet you in person, could you tell us a bit about yourself? I’m a researcher at Sapienza University and I deal with machine learning. In my free time, I actively participate, including as a speaker, in some communities on this topic. I also manage the Machine Learning Data Science community and a cultural association, the Italian Association for Machine Learning, to promote some initiatives. I studied computer engineering and then I did my Master’s degree in artificial intelligence and robotics. I worked a bit as a developer for a company in Rome, but I realised that my passion was research, which is why I decided to do a doctorate degree before becoming a researcher for Sapienza. When it comes to my hobbies, I love reading, watching movies and TV series. Could you tell us why you decided to become a researcher? What is your main source of information when it comes to ML? This field of research is very special, as anyone who’s got involved in it can confirm. I really like working alone, both for theoretical and practical research. I wanted to stay in Italy, because I love Rome and choosing this kind of career was a wise choice. In the first year of my studies, I mostly read foreign books and research. Now the situation has improved and it’s possible to find some good material in Italian, both articles and books. I also participate in a couple of conferences a year, especially for networking and getting to know other developers interested in machine learning. The main source of information for me is the internet, thanks to the incredible speed of publication on a global scale.